Gentleman s Farm for rent in the estate section of horse country just moments away from high speed ferry to NYC downtown Atlantic Highlands Beaches and parks. 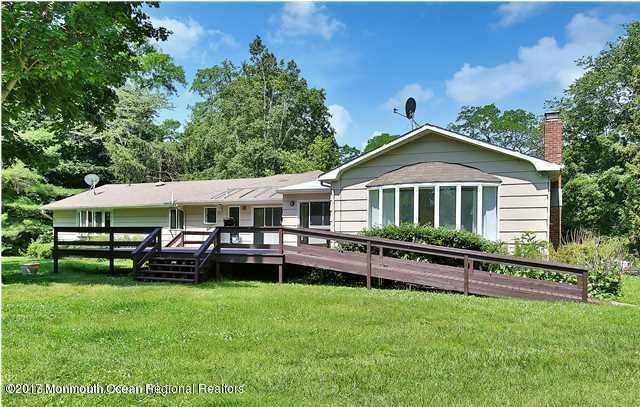 Expanded Ranch home with open floor plan hardwood floors 5 bedrooms and 3 full bathrooms with a finished basement pool and charming barn!This is truly a welcome place for family friends and pets too!If you have ever been curious about farm life try it out and see if you like it. This homestead is a true gem and must be seen to be appreciated. January 1 availability.